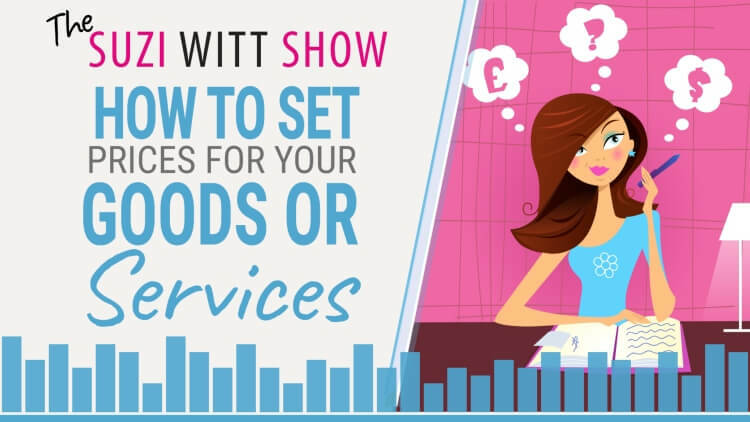 In episode 22 of the Suzi Witt Show, I am talking about pricing. Just how do you work out the correct price for your goods or services? How do you avoid guessing then finding out later that you have made a huge loss? What things should you always take into account and what should you always ignore? Tune in to this week's show to find out the how, the why and the when on pricing in your business. Find out what you need to consider when setting your pricing. Understand why your competitors pricing is not as relevant as you think it is. Learn what you need to do to work out how much you can and need to earn and how you break this into manageable daily targets. Gain confidence knowing you are working with profit in mind not guessing and hoping for the best. TSWS: 006 Pricing for Profit in your business. TSWS: 007 The backstory of a $7 figure business and 7 lessons I learnt. TSWS: 008 How to set goals that you actually achieve.